Let’s start with the quick answer, there is no any active airport in Ravenna. As a tourist, You have to fly to one of the following options, Bologna, Venice or to Rimini’s airport- and then take Bus, train or Taxi if you want to fly to Ravenna. 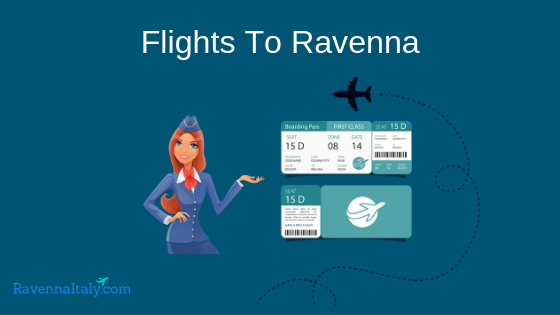 How to get to Ravenna by flight? How to choose the best flight to Ravenna? More ways to get to Ravenna? So as we said there are few options for tourists to get to Ravenna by flight and you can always come from your destination by train. If you want to take a flight to Ravenna we highly recommanded to fly first to Bologona, and if you have other plans before you come to Ravenna you can always fly to Rimini, Veniceor Rome. The first one and the most popular line is the line between Ravenna and Bologna. There is a lot of flights on this line and there is a shuttle between Bologna’s airport to the center of Ravenna. Bologna is located 1 hour and a half from Ravenna which is 85 Km. Actually, the bologna to Ravenna line is super popular and you can get to Ravenna by car train or bus from there. Shuttle C.RA.B is the shuttle bus service connecting Bologna Airport with Ravenna and Cervia. The Shuttle works from 29th March to 7th October 2018. The price of the shuttle is approximately 25 Euros. when you get to Bologna, you can take a taxi, or use bus services . Venice is another option that you have to get to Ravenna. It is located 144 km from Ravenna as you can see on the map which is only 2 and a half hours from Ravenna, you can land there and then take bus or train to Ravenna’s center. Another great way to get to Ravenna is to fly to Rimini which is located 55 km from Ravenna and has an airport. The popularity of the flights to Rimini is also limited like the flights to Venice so you should check at the official website of Rimini’s airport about future flights details. You can take a taxi, bus or train to the center of Ravenna. Yes, you can take a flight to Rome and then take a bus or train to Ravenna and in the past, there was also a boat line between the cities. Flight to Ravenna and Flying to Ravenna, in general, might not be very cheap so it’s best to do your homework beforehand. A lot of flight deals come with packages for nearby hotels where you can stay for a few days while your tour the city. This allows you to forego the headache of finding a hotel yourself. We made a great guide that will help you to choose the best hotel in Ravenna. The closest international airport near Ravenna is in Rimini, Italy; sixty-nine kilometers from the Ravenna’s center. The airport in Ravenna is a local one only. The majority of flights fly to the city of Bologna which has one of the busiest airports. It is about eighty kilometers from the city of Ravenna. About twenty kilometers from Ravenna is the town of Forli’ which also contains an airport that hosts domestic flights and therefore is a convenient way to reach the city. You can find here great flights to Bologna or Rimini and contact one of these taxi drivers that will get you safely to Ravenna. They will also be able to suggest routes that will minimize expenses and provide the best travel experience. Flying is definitely the best option to reach the vicinity but traveling within the locality may require other means. Tourists love to use the train station in Ravenna between to and that takes them from Rimini and Bologna. A bus service is also available between adjoining towns and can be a convenient yet wonderful traveling experience. Unfortunately, the cruise lines are not directly linking to Ravenna but rather to the nearby Porto Corsini. Porto Corsini is a rather barren landscape with not a lot of tourist attractions. 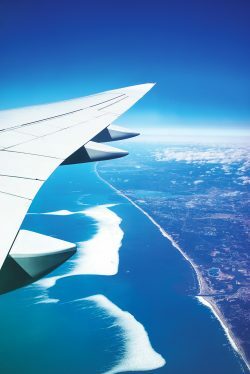 And ‘ the most important decision after ordering you flight tickets is to choose the Best hotels in Ravenna Italy best hotel in Ravenna that can fulfill your needs.